We're definitely still not over this one. On Grey's Anatomy Season 11 Episode 21, a shocking accident claims one of the show's most beloved characters, with what might be the most emotional episode in the show's eleven seasons. Join TV Fanatic writers Stacy Glanzman, Amanda Steinmetz, Mary Kate Venedam, and Ashley Bissette Sumerel for a discussion of "How to Save a Life." Derek is dead. What's your reaction? Stacy: I'm shocked. Yes, there was all kinds of foreshadowing, but I still didn't honestly think they'd kill him. I said in last week's round table that I couldn't think of another reason the police would come to Meredith's door other than he was dead, but I still assumed there was a reason I hadn't come up with. I was hoping it was all just a really clever way to throw us off the scent. Amanda: I'm seriously in shock. I can't believe this has actually happened. I agree that there was a lot of foreshadowing, but I feel like it was thrown at us so heavy-handedly in order to soften the blow of this loss. Still, there was no way to prepare for Derek's death. I never thought his death was even in the realm of possibility at this point in the show. Frankly, if Patrick Dempsey hadn't wanted to leave the show, or if whatever went down between him and Shonda Rhimes hadn't happened, then I don't think his character would have been killed off. Mary Kate: I'll just say not good. It was a devastating moment. Derek has been such an important character to Grey's and after everything that happened recently with him and Meredith, they were finally in a good place, and then he dies?? How heartbreaking is that? Ashley: I'm in mourning over here. It's just profoundly sad. I don't think I can say I'm all that surprised, especially since we've seen so many other main characters get killed. Why do you think the writers chose to kill Derek off rather than writing him out in another way? Stacy: I have no idea, dramatic effect, I guess. I think it's a bad decision. I don't understand why they couldn't have just left him in DC. He could have made off screen weekend trips home. I don't need Derek to be on my screen, but when this show eventually gets to its series finale, it would have been nice if Derek could return. At this point the series finale is going to need be very flashback heavy so that all the dead doctors can come back! Amanda: Like I said above. This was the only way for Dempsey to leave. There was no other way for him to go. He couldn't divorce Meredith and leave. That wouldn't have fit the character. Mary Kate: I don't think it would've made sense to just send him away. Derek and Meredith belonged together, it would've been odd to have them spilt and then somehow not make it seem awkward for him to visit the kids or talk to Meredith or Amelia or anyone. If Derek had to go, it seemed more plausible in the Grey's Anatomy world for his character to be killed off. Ashley: I agree that his character wouldn't have left his family behind permanently. So, for Dempsey to leave while the show is still apparently going to keep going, I think he had to die. The only other option would have been for the show to end, and maybe that's what should have happened. I do like that Derek went out a hero. What did you make of the way Derek died, from the actual crash to the mistakes in the hospital? Stacy: It was incredibly tragic. I can't imagine being a doctor and being able to hear and understand that your doctors are making the wrong calls but not be able to say anything. How terrifying would that be? I am curious why he wasn't just airlifted to a better trauma center though. Amanda: It was incredibly frustrating. I thought the fact Derek ended up brain dead was a little too on the irony nose. It makes me wish he had just died in the crash on impact. That's better than Derek knowing how he should be treated but unable to say anything to the doctors. I'm not a doctor, and I was even screaming at my TV for them to give him a CT scan. I felt like Shirley MacLaine in Terms of Endearment screaming for the doctors to give my daughter the shot! Mary Kate: I was having near panic attacks. Just when you thought everything was OK, the truck hits him. It was interesting to see how Derek talked through everything the doctors were doing right and mostly wrong. I felt like shaking the doctors to want them to listen to this voice only we could hear. Of course, it was also completely ironic that Derek was brain dead. It's either frustrating or semi-poetic. I'll stick with frustration for now. Ashley: What I liked about the whole thing was that we focused on Derek for the entire episode, especially since we got to see him at his best. I agree with Mary Kate that I wanted to shake those doctors – I hated that Derek couldn't communicate, but that he knew everything that was going wrong. Completely tragic. What did you think of Meredith's goodbye? Stacy: It was the perfect balance of staying strong and falling apart. I wouldn't have wanted to see either extreme. Her goodbye was both heartfelt and comforting. If he could hear her, hearing that they would be okay would be exactly what he needed. Amanda: I'm not surprised by her composure. She was trying to stay strong, but she had her emotional moments too. I predict a more dramatic reaction from her in the next episode. A delayed meltdown. I just can't help but ask the question, "How much more loss can Meredith take?" She's lost so many people of the years. I would just make my way into the fetal position and call it a day. Mary Kate: Sad. She had to remain strong for the kids, but also mourn her husband who she has been through so much with. I did like her speech to the one doctor who tried so hard to want to save him. She's probably going to mourn even more in the next episode, but for now, she seemed mostly in shock. Nothing was more devastating than to watch all of these clips of their relationship pass by as she said goodbye. So many tears. Ashley: I think she did a good job os staying strong, but looking back I think it's a little surprising just how calm she was. 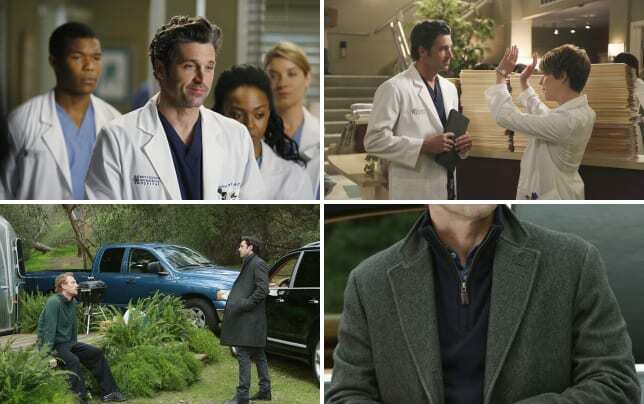 How will Derek's death affect Meredith and the other characters on the show? Stacy: I'm sure Amelia is going to be pretty angry that she wasn't even called. I get they wanted the goodbye scene between Meredith and Derek, but in real life you would call the rest of the victim's family to come say goodbye before taking him off life support, especially if they were near by. It's hard to say exactly how Meredith will cope. She's suffered so much loss already. I will say that there better be a surprise guest appearance by Sandra Oh next week because I can't imagine that Cristina would let Meredith go through this without her person. Amanda: I agree with Stacy that Amelia will probably be mad, but I think she'll be mad because she would have wanted to try and save his life. I predict everyone will react differently to Derek's death. Some will be in shock, some will meltdown, some will bury their emotions. I just want Cristina to come back so Meredith can have her person to help her through this tragedy. 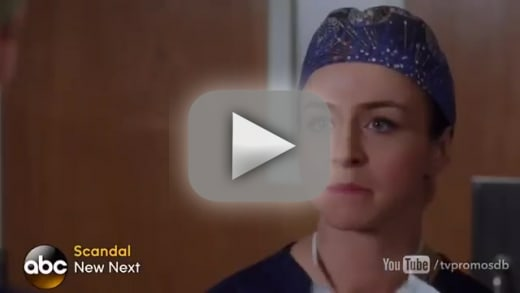 Mary Kate: It's definitely going to affect Meredith and Amelia the most. I hope the two can lean on each other for support. I really hope someone will be there for Amelia (ahem, Owen!) because Derek's death could make her spiral into her past life. It will be interesting to see how it affects everyone else because Derek's loss will certainly be felt more than most. Ashley: I agree that Amelia is going to be angry – for several reasons – and Meredith has to go back to being her "dark and twisty" self. I think it's going to have a profound effect on everyone, though. I'm with Stacy that Cristina should come back to be with Meredith, and I think Addison should really be there too! What were your overall impressions of "How to Save a Life," and is there anything else you want to say about this episode? Stacy: Even though I would have preferred they not kill Derek, the episode was very well done. Keeping the focus on him and basically making it a tribute to him was the right way to go. I loved the flashbacks and his story about his first kiss with Meredith. The music was perfect too. I'm glad he went out saving lives. Amanda: Honestly, I wasn't crazy about the writing. Even if you hadn't been spoiled ahead of time, there was way too much foreshadowing while Derek was saving those other people. You could see something horrible happening to him from a mile away. That's not to say I didn't bawl my eyes out, but the addition of "Chasing Cars" helped manipulate some of those tears. Derek's death makes me wish Rhimes hadn't resorted to killing off other characters in such dramatic fashion over the tears because instead of shock and devastation, I just feel like everyone needs to disassociate themselves with that damn hospital because people who work there just end up dead. Mary Kate: I thought that as sad as it was it seemed like a good episode for Derek's last episode. I loved how he saved everyone in the car crash and bonded with Savannah Paige Rae (Sydney, for Parenthood fans)'s character. It made sense how his last big moments were saving those people. Part of me wishes he could've had closure with more of the characters. But, overall, even though no one wanted Derek to go, it was nice final episode for a beloved character. Ashley: I was a blubbering mess, but I thought it was really well-done overall. It drew connections from previous seasons with the music and even in the way that Derek actually died. Are you still in shock from Derek's death, and what were your overall impressions of this episode? Share your thoughts in the comments below! And get your tissues ready for Grey's Anatomy Season 11 Episode 22, which will be a two-hour special. Need to catch up on past episodes? 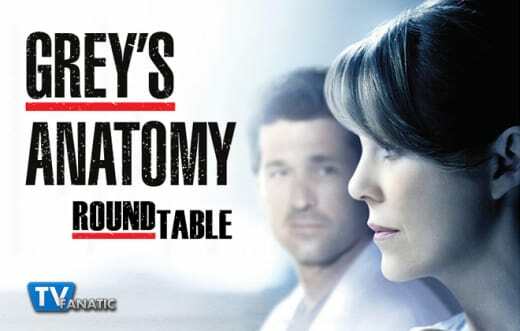 You can always watch Grey's Anatomy online right here via TV Fanatic! Grey's Anatomy Promo - "She's Leaving Here"
Girl: Oh my god, I'm gonna die. Derek: Stop saying that. It's insulting. I don't let people die. I'm very good at my job. Even next to the roadside. Derek: No one's gonna die, Winnie. Winnie: You aren't go, so, you don't know. Permalink: You aren't go, so, you don't know.